Brand: Wilton 710-5502 Units: 1.5 oz. can Due to regulations this product can not be shipped via air. Must go ground. Not available for international shipping. 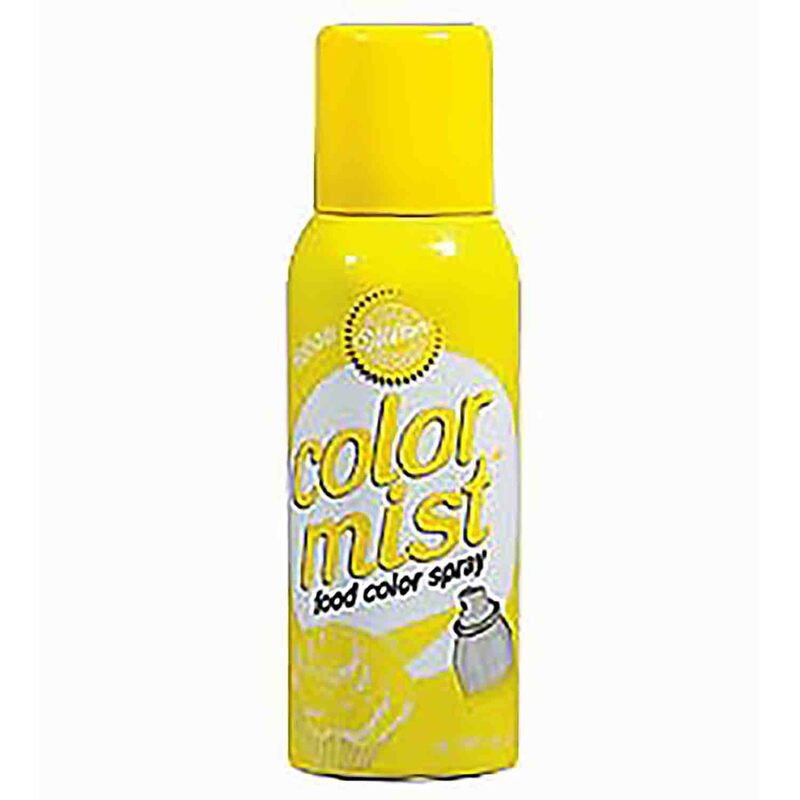 This easy-to-use spray gives decorators the versatility and dazzling effects of an airbrush in a convenient can! Creates a rainbow of excitement for so many desserts. Use it to transform a plain iced cake with sensational color, add splashes of holiday color to iced cookies and cupcakes. Great for party desserts–highlighting whipped topping or ice cream with color. No mess, taste-free formula; add a little color or a lot. Due to regulations this product can not be shipped via air. Must go ground. Not available for international shipping. Ingredients: Ethanol, Isobutane, Propane, Glycerin, Water, Cornstach, FD and C Yellow 5, Silicon Dioxide, Citric Acid, Sodium Benzoate.